President Donald Trump may have angered the Israeli government just days before his trip to the Middle East. There has been speculation that Trump would visit the Western Wall, the holiest site in Judaism, during his Israeli trip, which would make him the first sitting US president to do so. However, Israel's Channel 2 reports that while planning the visit, a Trump aide questioned Israel's control over the holy site, located in disputed East Jerusalem. Channel 2 reports, as noted by the Times of Israel, that a Trump aide then angrily told Israelis that the Western Wall was part of the West Bank, which is governed in part by the State of Palestine. "What are you talking about? It's none of your business. It's not even part of your responsibility. It's not your territory. It's part of the West Bank," said the White House official according to the Times of Israel. Israeli President Benjamin Netanyahu reportedly wanted to accompany Trump to the Western Wall, a request the White House reportedly denied. Israelis also reportedly asked for a camera crew to film Trump, which prompted the American's remarks. An Israeli official told Channel 2 that the Trump team member's comment "was received with astonishment." Press Secretary Sean Spicer said the remarks were "not the position of this Administration," according to journalist Itay Hod. The Western Wall — also known as the Kotel — is the last remnant of the ancient Jewish Second Temple, and the closest that Jews can get to the Temple Mount, the holiest site in Judaism. The site has been politically controversial, as it is located in Jerusalem's Old City, which was under Jordian control from the founding of Israel in 1948 to 1967, when it came under Israeli control following the Six-Day War. The reaction to Trump's reported visit to the site shows why sitting US presidents have stayed away from the Western Wall. The US president could now anger both Israelis and Palestinians with his visit. As the Times of Israel notes, the visit "would likely be interpreted by some as akin to an American recognition of Israeli sovereignty over East Jerusalem." Current US policy is that East Jerusalem's status should be determined by Israeli-Palestinian negotiations. 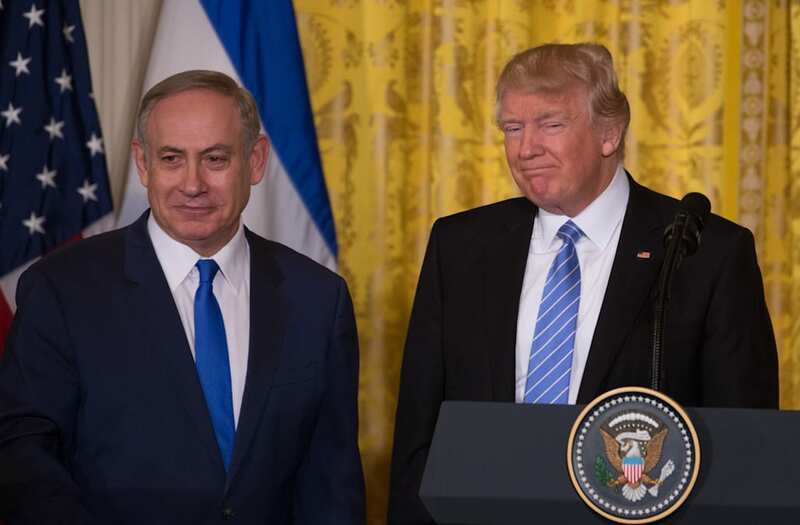 The Associated Press reports that the Israeli government has reached out to Trump for clarification on the remarks. The argument over the Western Wall is not the only complication to come up while planning Trump's trip to Israel. Netanyahu is reportedly pushing to deliver a joint speech with Trump at Masada, another historical site in Israel, rather than just the introduction he is currently slated for. Trump also caused some controversy when it appeared that he would not visit Yad Vashem during his trip, although it is now being reported he will spend 15 minutes at the Israeli Holocaust Memorial. The trip will also be colored by questions over the status of the US Embassy in Israel, which Trump promised to move from Tel Aviv to Jerusalem during his campaign. Moving the embassy would likely indicate a change in US policy towards recognizing Israel's claim to a united Jerusalem. US Secretary of State Rex Tillerson said Sunday the president was still considering the move, but was analyzing the impact it would have on the Israeli-Palestinian peace process.